Velvet Tree Pear is in Goomalling! 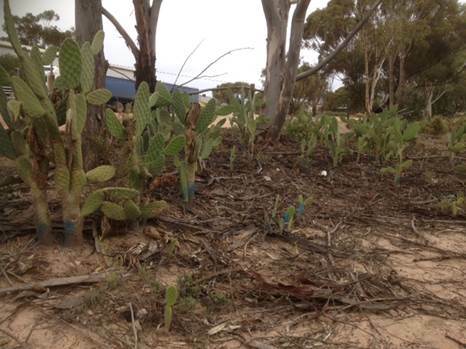 One plant in a garden has become hundreds of plants on multiple blocks on the edge of Goomalling. 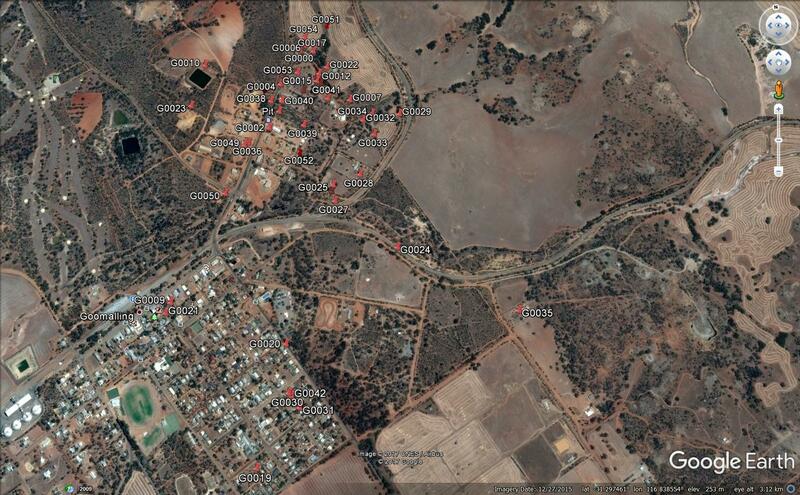 (Approximately 90ha infested). The infestation has reached the creek, which is part of the Avon-Mortlock catchment. If left unchecked it will continue to spread further down the catchment. Many more infestations are now appearing, mainly due to the planting of cacti in gardens throughout the Shire. 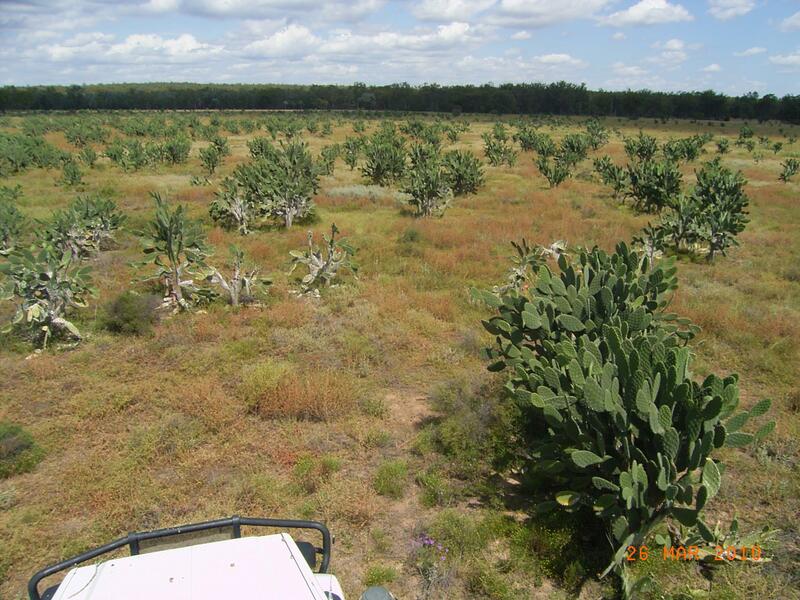 This mature cactus (picture 1) is a result of a seedling left unmanaged. From this plant hundreds of seedlings have procreated (picture 2). 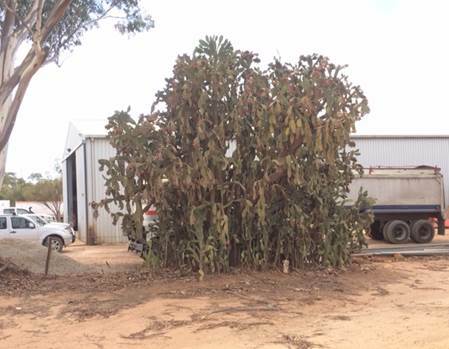 Shire of Goomalling removed the cactus in 2015 which required 8 hrs backhoe to dig an adequate disposal pit and manually removed the cactus, 2 hr to mulch the site and spray the remnant seedlings. 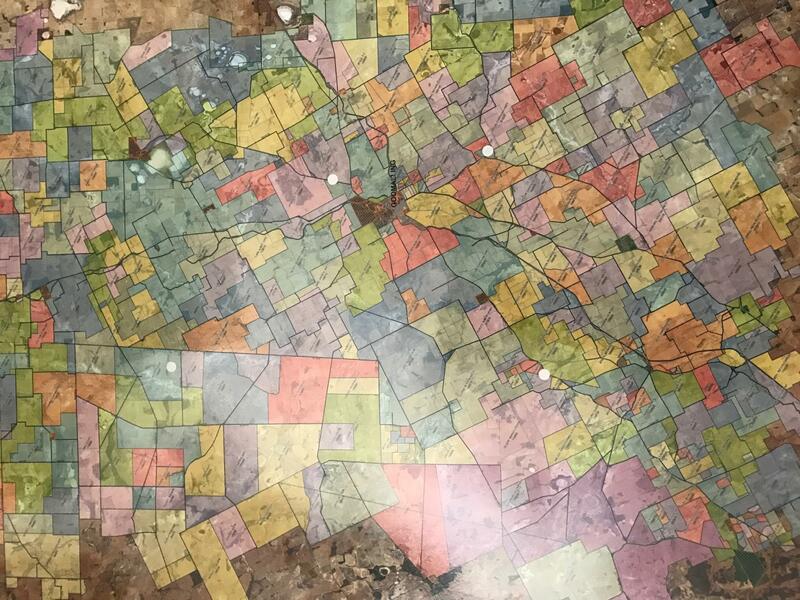 Estimate cost of removal for one plant is $600. 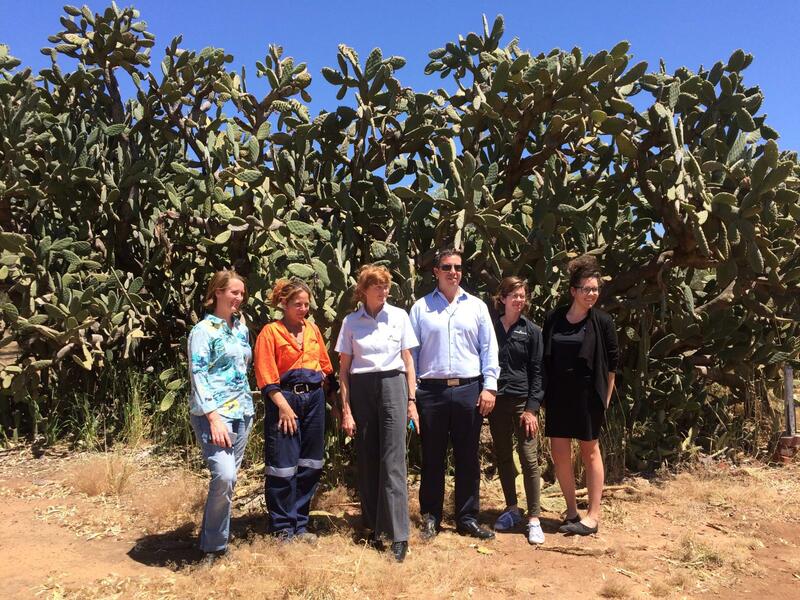 What has happened to Goomalling’s unmanaged cactus? Image: Velvet tree pear infestation eastern Australia Photo Credit: Les & Marie Tanner (North West Weeds). How do I know if I have a declared cactus species on my property? Department of Agriculture and Food WA have a listing of declared opuntioid cacti including images of the fruits and flowers to assist you to identify what cactus you have on your property. If you’re unsure contact the Shire of Goomalling for assistance. Shire of Goomalling, Greening Australia and Department of Agriculture and Food WA are working together to eradicate the weed and increase awareness in the community about the significance of the problem.